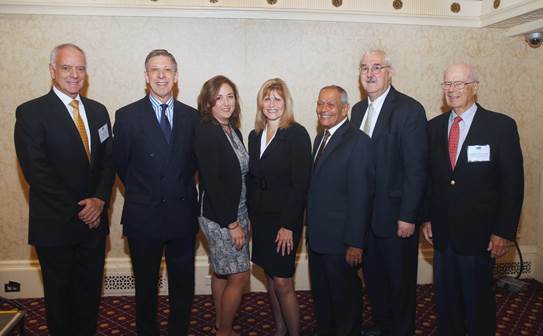 Calvary Hospital hosted its 14th Annual Trusts and Estates Conference at the Roosevelt Hotel in New York City. 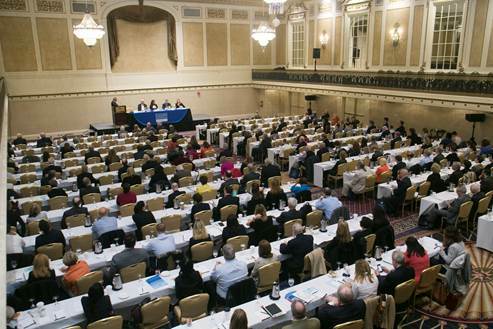 This invitation only event attracted more than 300 of New York’s most experienced trusts and estates attorneys. Over the past decade, Calvary’s attorney conference has earned a reputation as a must-attend event for trusts and estates practitioners. Alison Arden Besunder, Esq., Arden Besunder P.C. Janice J. DiGennaro, Esq., Partner, Rivkin Radler LLP. The conference is organized by Calvary’s Professional Advisors Council (PAC). The PAC was established by the Calvary Fund, Inc. in 2001 to assist the Board of Directors and staff in securing the financial support required to operate the country’s only acute care specialty hospital dedicated to the palliative care of patients with advanced cancer and other life limiting diseases. PAC members are volunteers from the legal, investment, accounting, insurance, and banking professions. The conference was chaired by Michael M. Mariani, Esq., Consultant, Fiduciary Trust Company International. All attendees qualified to receive two CLE (Continuing Legal Education) credits in Ethics and Professionalism. Pictured (left to right) are: Frank A. 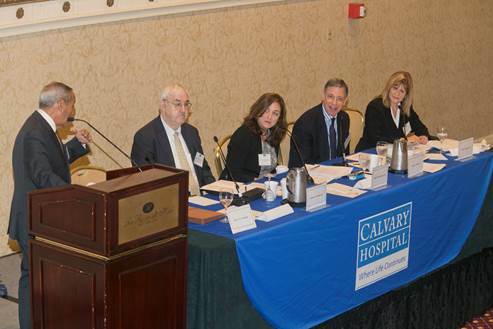 Calamari, President & CEO, Calvary Hospital, Anthony E. Davis, Esq., Partner, Hinshaw & Culbertson, Alison Arden Besunder, Esq., Arden Besunder, P.C., Janice J. DiGennaro, Esq., Partner, Rivkin Radler LLP, Hon. Lee L. Holzman, Former Surrogate, Bronx County, Michael M. Mariani, Esq., Consultant, Fiduciary Trust Company International, and Dr. Thomas J. Fahey, Jr., Calvary Hospital Board of Directors.